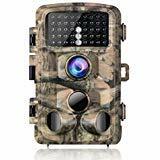 Scouting out that trail camera for animals that walk on to your property may be a popular past time, but did you know that handy camera provides increased security against intruders? The best way to achieve that is to place the device on your property so that it remains undetected. 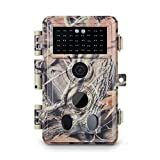 With dozens of game cameras on the market today, they offer an affordable solution to security monitoring around the outside perimeter of your property. When installing your game trail camera for security, here are three things to consider. Game cameras already capture images at angles, which makes it easier to place the device out of the line of sight of intruders, but still within range. Regardless of where you decide to install your cameras, make sure you hide the trail cam for home security and choose your position carefully. Most thieves start with the attached garage, so be sure to install a camera inside the structure. Bury a camera within a tall tree or bush hidden from view but point straight at the house. Lights often deter thieves from entering your home, so place a camera with an IR flash near a window or door to have it light up when it detects movement. Plus, the extra light is one item you can check off your home security checklist. Choose a shady or covered area that’s out of the direct sunlight. This prevents glares on the camera during the day. Wireless cameras can be installed anywhere. Opt for a light post on the corner in your neighborhood that captures video footage for several homes surrounding your own. Aside from the proper placement of your camera, you need to make sure it covers the area that you want to be covered. Measure your yard if you need to, then check to make sure the motion sensors with your camera can reach. According to Game Camera World, most trail cameras offer a detection range of 40-feet, but some do go further than that. 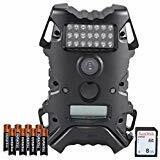 Whether you are tech savvy or not, trail cameras come with a lot of bells and whistles, so you can choose the best one for your needs. Can your husband not stay off his phone? Choose a camera that sends pictures directly to your device for easy viewing. If you also want to save the images for viewing later, purchase a camera with a space for a memory card. This allows you to take the card out for viewing on your computer. Camouflage exteriors also make it easier to hide the camera in plain sight. Are you interested in decking out your home with a home security system? Get a free quote today from Protect America and protect your most expensive investment from burglary and vandalism.